Your wedding day is one, if not the most important day of your life. You have the outfits sorted, transport, guest list, food, speeches and look forward to the part of the evening where you and your guests can relax and have fun dancing to the wedding dj tunes. To get the most out of your wedding dj we highly recommend you follow Dave Dee Discos tips to make sure you have a memorable and fun time on the dance floor. Themes are very popular at a number of wedding celebrations now, whether it be your favourite film, a specific era or characters, your wedding dj can look to compliment the theme with the music list. We may even be able to join in with costume and dress code. If you have chosen a reception venue that has certain restrictions or insurance requirements, please let your wedding dj know as soon as possible so we can confirm we are able to meet the necessary needs. Time is of the essence when booking your wedding dj, especially when using such a well -loved and recommended company as Dave Dee Discos! 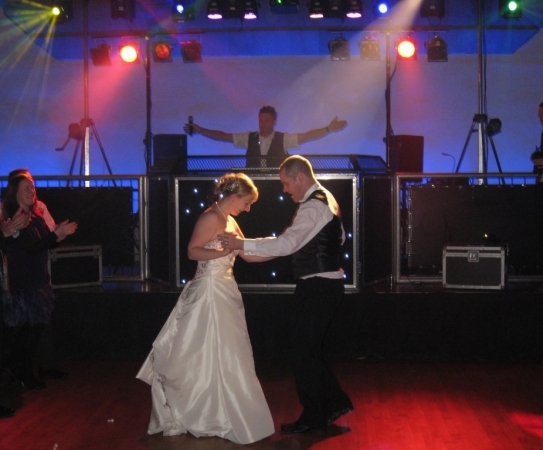 Try and book your wedding dj as soon as you have venue confirmation to save disappointment. Take advantage of our wedding dj knowledge and experience to advise you on when to have your first dance, good time to serve the buffet and cut the cake! We have been in the industry for many years and have been part of 100’s of weddings so are happy to help! Don’t forget it is our job to read the room and feed off your guest’s mood and response to the music. We are very happy to follow a suggested play list and will use our knowledge and experience to make it a wedding reception to remember!